If there’s anything more concrete and more fun to play, then it should be fighting games. They’re much more addictive if only you’re able to benchmark the best among them with high graphics. Although there are lot’s of them out there on the Google playstore but i can stand firm to maintain to you that they’re mostly a NO No for me with bad control and stupid graphics. However from the stupid ones, there’s also a huge possibility that you can also be able to fish out the best among them. Fighting games are hard to find especially the addictive ones with high graphics and good control. However we’ve vetted the google playstore and from our exploration we benchmark the best fighting games you certainly won’t term nor find boring…Soo below are the list of the best fighting games you need to play on your android smartphone. Injustice gods among us is the top 1 best fighting game for android phones. The game delivers the best visual graphics and awesome quality controls, you can build an epic roaster of DC heroes and villians in other to enter the arena in touch based 3 on 3 action combat. The control allows you to swipe and tap to perform combos and build your power to pull off special attacks and super moves. You can also build your move set, increase your powers, upgrade your characters and gear, and beat your competition. Injustice Gods among us allows you to battle with your opponents in an online multiplayer mode. There are lot’s of massive rooster of DC comic in this game such as Superman, Batman, Wonder Woman, The Joker, Green Arrow, Flash, Bane, Green Lantern, Doomsday, and many others. With each alternate character, you can get a new set of powers and moves. Currently over 50 million people downloaded injustice God’s among us from the Google playstore. 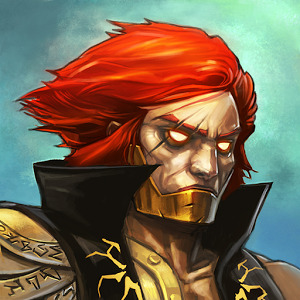 God of Rome is undoubtedly one of the best action packed epic fighting game for android. 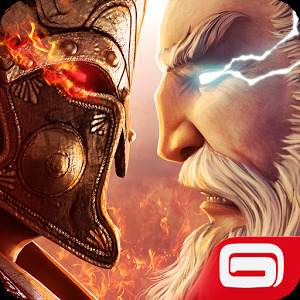 The soul of the most powerful gods has been summoned to brutal battle, your quest is to fight and restore peace in this graphically amazing fighting game for android smartphone. You can train pantheon of champions to a new height and take them to war. God of Rome offers the best 3D graphics gameplay for mobile. The control of this game isn’t bad either has it contains an intuitive tap and swipe controls where the screen is at your disposal to perform powerful combos and chain attack. Once you’ve reach the rank of ascender in this game, you can easily upgrade, summon and manage monsters, gods, hero’s and other mystical warriors. The game features both Greek and roman gods such as Zeus, Hades, Medusa, atlas and many more. You can also engage in multiplayer online mode to conquer your challengers. Currently over 10 million people downloaded god of Rome from the google playstore. I couldn’t have skipped this game if I wanted too, it was actually the first fighting game I played on my android phone. 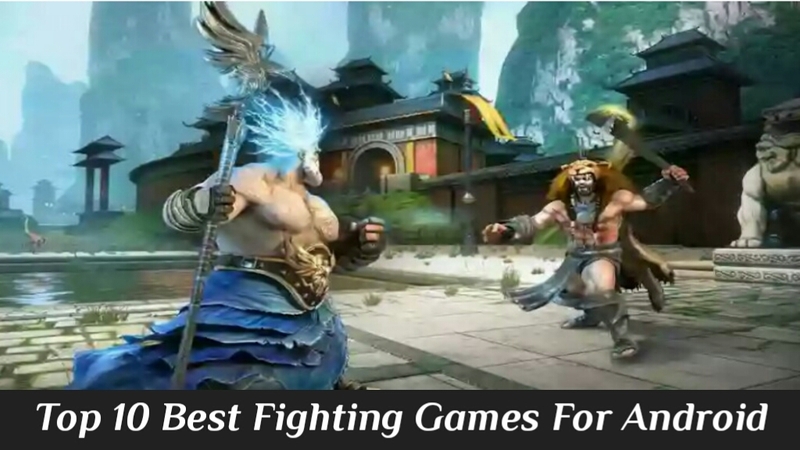 Fighting tiger is the best 3D fight game you’ve never imagined. In this addictive fighting game, You are Gin, a Kung Fu fighter, and desperately want to leave your gang, but your gang has other ideas. You need to fight for your girlfriend and your life, which could end very soon if you make the wrong move. The game features a sensitive 3D controls with lot’s of amazing skills and combos to unleash on your opponents. You can use punching, kicking, catching, throwing, and dodging in other to defeat your enemies. There are lots of varied weapons you can pick from during gameplay to strike your enemy. With a smooth and intense motion, fighting tiger is certainly the best fighting game you can play on your mobile. Once you’ve mastered all the defensive techniques given to your, then you can easily fend off your enemies. Currently over 50 million people downloaded fighting tiger from the google playstore. Soul calibur is the ultimate 3D fighting game you can play on your android smartphone. This game was first unveil in 1998 in an arcades mode and the great news is that it’s available on the Google playstore for you to download. If your a soul calibur fan then this game is specially recommended for you. Enjoy the memorable characters and non-stop action that soul calibur brings. You can also battle with lots of enemies in the survival mode and defeat them at the process. Soul calibur features a 19 character rooster with each character moves faithfully recreated. The game unveils a smooth gameplay with lots of artwork you can never imagine. Once you grasp the game basic, you can easily perfect your techniques. The control hasn’t changed either, it’s just as you remember it. Soul calibur also features a diverse set of game mode with good visuals. 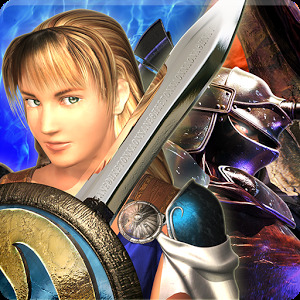 Currently over 10 thousand people downloaded soul calibur from the Google playstore. 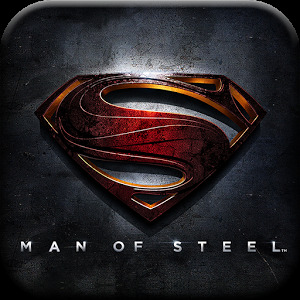 Man of steel is an popular best fighting game you can play on your android smartphone. The storyline tells of General Zod who is threatening the earth and only the Man of Steel can stop him. In this action packed sequential fighting game, you can easily utilize the powers of Superman to fight your way to victory and save the planet from certain destruction. Man of steel features the best quality control with amazing skills where you can attack, dodge, block, and utilize various super powers including flight, super speed, and heat vision to defeat Zod and his evil forces. 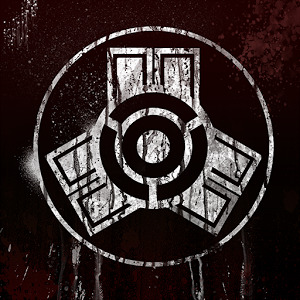 The game allows you to play through an in-depth story mode or set a personal high score in the intense survival Mode. There are lots of mini bosses you can challenge and battle with. You can easily customize your experience by upgrading the special abilities you want to use. Embrace the true strength of superman with bone crushing combos, all with the swipe of a finger. The graphics of this game can make you play it for up to 2 hours non-stop. Currently over 10 million people downloaded man of steel from the Google play store. WWE Immortals brings an all new fighting experience as you’ve never imagined. In this game, you can wield devastating powers to demolish opponents with innovative touch-based combat. The fight is always fierce, use the touch screen mechanics of your mobile device to do epic battle with your enemies in 3 on 3 combat. Also swipe and tap to perform combos and build your power to pull off special attacks and use each superstars’s customized superpower. WWE Immortals unveils massive rooster of fantastical favorite of WWE superstar you can collect such as Triple H, John Cena, The Undertaker, The Bella Twins, The Rock, Stone Cold, and many more. Each Superstar comes with unique variations, featuring special powers and moves. You can easily increase your powers and upgrade your characters to conquer competitions. WWE immortals delivers the most stunning and amazing graphics on your android phone with custom animations for every single WWE Superstar. This game also features an online multiplayer mode where you take on real opponents in an online battles and compete against players around the world. Complete events tied to the WWE and earn awesome rewards. 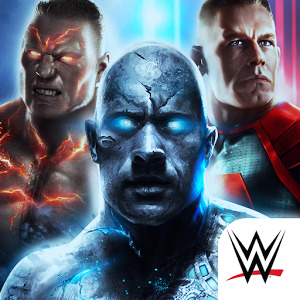 Currently over 5 million people downloaded WWE Immortals from the Google playstore. Bladelords is yet another popular fighting game for android smartphone. If you want to reveal your inner fighting mode in this 3D immersive game, then bladelords is the game for you. This game tells a tale of an old empire set between western middle-age and Japanese universes, a dark power is rising again to take over the world. It’s your duty to save the empire from destruction. You can start your journey across the 4 lands of the empire, gather the strongest fighters, and train them to unlock incredible fighting and magic powers. There are up to 16 fighters you can play with and upgrade their equipment and abilities. Challenge real players worlwide. Defeat hundreds of enemies and show them that you’re the ultimate bladelords. This game also has a stunning visual and 3D environments you certainly will fancy. This game is totally free to play and also you can battle with your opponents in an online multiplayer mode. With an intuitive controls, bladelords comes with lot’s of different game modes. Currently over 1 million people downloaded bladelords from the Google playstore. Mortal combat X is undisputed most powerful and realistic fighting game for android phones. You can endorse into tournament with your assembled elite team warriors to prove yourself in the fighting on earth. Easily create your own team of Mortal Kombat fighters and lead them into battle to earn experience, new special attacks, and powerful artifacts. There are lot’s of massive rooster of fighters you can collect in Mortal Kombat X such as veterans like Scorpion, Johnny Cage, Sub-Zero, Sonya, Kitana, Ermac, and many others. 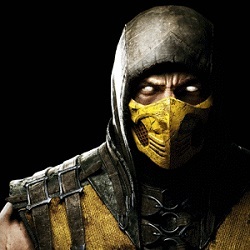 Also discover the newest additions to Mortal Kombat such as the insect like D’Vorah, fiery Cassie Cage, bloodthirsty Kotal Khan, and the mysterious Kung Jin. Mortal combat X brings an all new stunning graphics and the best gameplay with quality controls where you can perform some top move punch. You can challenge or compete with other players in the faction wars and also engage your opponents in an online multiplayer mode. Mortal combat x is optimized with device having a 1GB RAM. Currently over 10 million people downloaded mortal combat x from the google playstore. 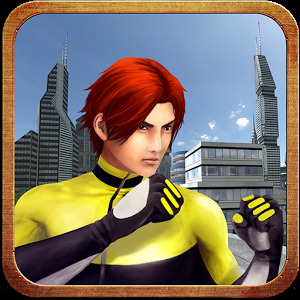 Brothers clash of fighters is one of the best fighting game for android with realistic gameplay and nice quality graphics. 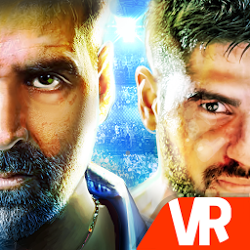 The game unveils an arcade street fighting game which features one on one close combat fight style with 3D animated life like characters such as Akshay and Sidharth as well as a roster of international fighters. You’ve to compete as David or Monty in the arcade or tournament mode. The fight can become much harder as you journey deep, win every match or face a disgraceful knockout in the war of the legends. Brothers clash of fighters features the best favorite moves you can ever think off, you can perform combos and finisher moves, hit the taps and swipes at the right time to execute these special moves and inflict maximum damage on the opponents. there’s also an option to choose between the different arenas such as The Boxing Ring, Underground, The Gym and The R2F Arena. Defeat your opponents and climb to the ladder of success. Currently over 1 million people downloaded brothers clash of fight from the google playstore. Shadow fight is yet another fighting game for android, it’s actually a nail-biting mix of RPG and classical fighting. The game allows you equip your character with countless lethal weapons and rare armor sets. Shadow fight unveils lots of skills such as kick, jump slash and you can easily crush your enemies, humiliate demon bosses, and be the one to close the Gate of Shadows. The game has an intuitive control that’s capable of devastating your enemy. In this game, you have to journey through six different worlds full of menacing demons. Yiu can also customize your fighter with epic swords, nunchacku, armor suits, magical powers and more. Shadow fight is the most intensed fighting game you will love to play. 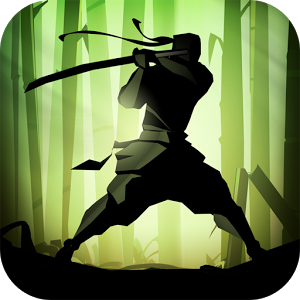 Currently over 100 million people downloaded shadow fight from the google playstore. So these are some of the best fighting games you can play on your android smartphone also add “Batman Arkham City Lockdown and Arkham Origin” to the list of best fighting games, since they’re also addictive and perfect with stunning graphics. Gaming has always been better on the android platform.